The land was purchased in 1867. 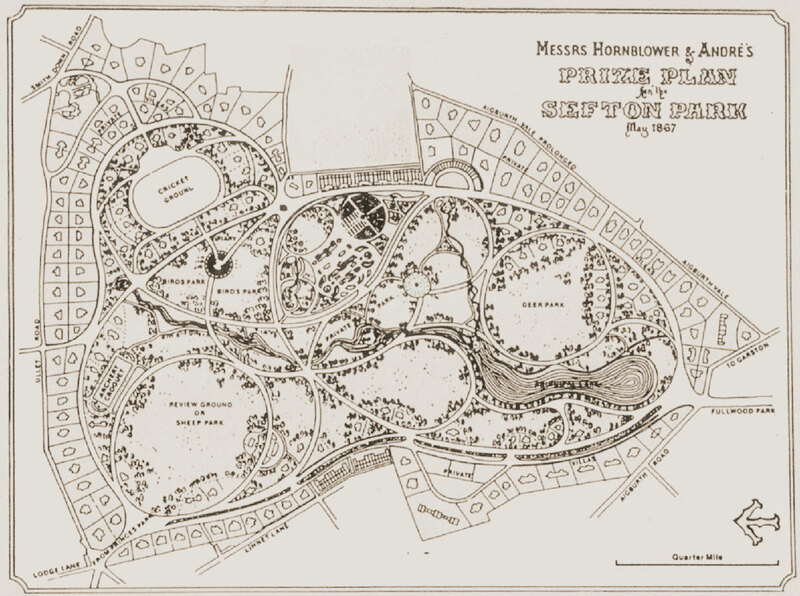 Under the original Sefton Park Scheme, the site was to develop the meadows with large villas. This was never done. It was later used as a tree nursery. For a while there was a plan to build a primary school on the site but this was abandoned. In 1974 the Council decided to build council houses on the site in response to the demands of the housing clearance programme, but in 1976 the Council resolved not to proceed with the housing project and to retain the site as an open space. There was a plan to sell the land for development in 1989 – but this was abandoned. The City Engineer at the time said ”This section of Park Avenue is part of the University Cycle Route. The alternative to road closure would be close the route to vehicular traffic under a Traffic Regulation Order, retaining it for use as a foot-way and cycle route”. There was proposal to build 66 flats in four villas of 5 storeys each in 1991 and planning permission was sought by developer: Summit Development. This caused an outcry and a petition of over 5000 signatures, and questions in the House of Commons from Local MP David Alton. The land was referred to as the ‘Meadows’ and ‘Meadowlands’ in the media. The Meadows have been used on occasion as car parking space for events in Sefton Park relieving congestion on the perimeter road and lack of designated car park provision around the park. Hi, so sorry to take so long to get back to you. 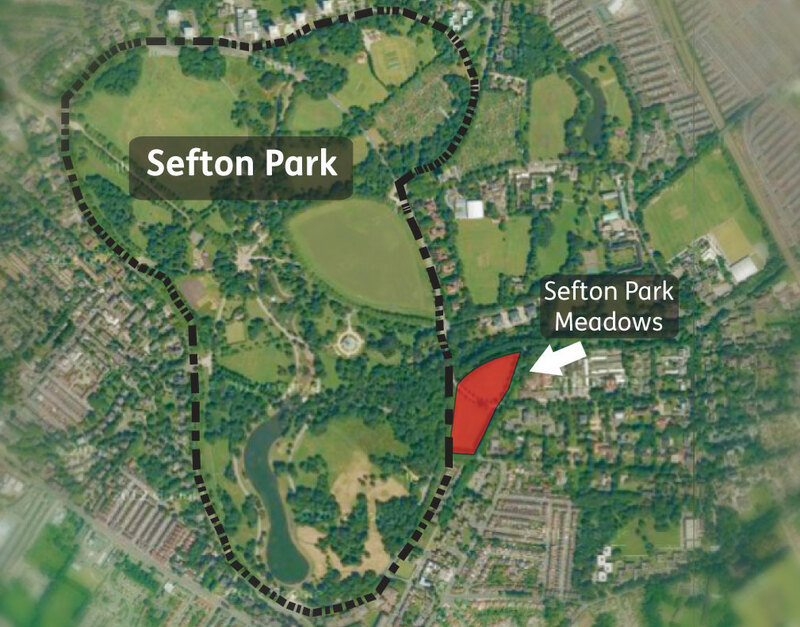 Yes of course, please link and use material, as long as it is in the spirit of our campaign to Save Sefton Park Meadows!